Other Ingredients Silicon dioxide. Capsule consists of hydroxypropylmethylcellulose. No wheat, no gluten, no soybeans, no dairy, no egg, no fish/shellfish, no peanuts/tree nuts. 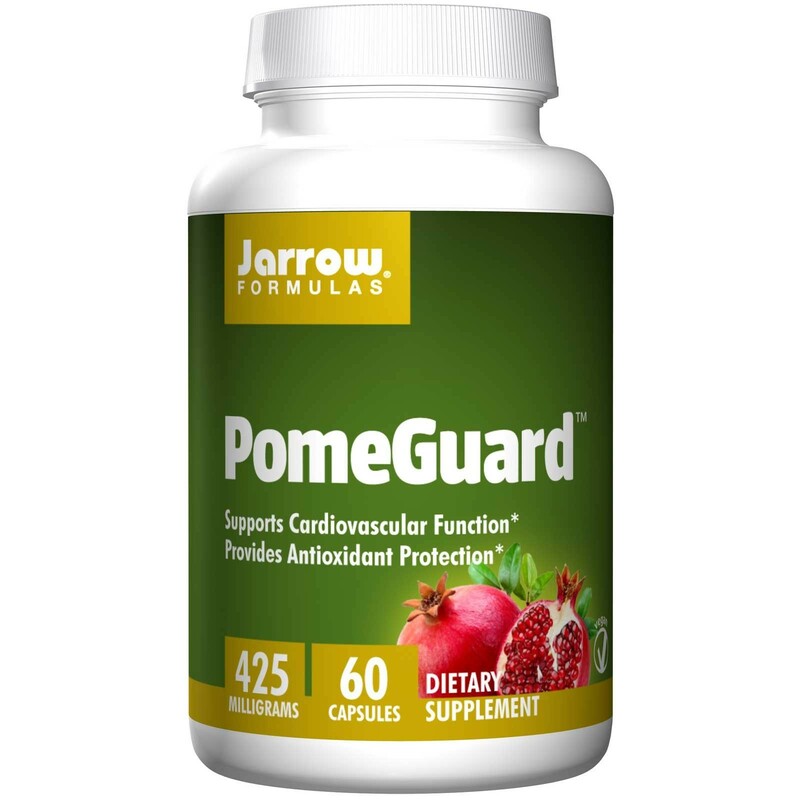 Jarrow Formulas PomGuard, derived from 100% California Pomegranates, contains a wide range of polyphenolic compounds including ellagic acid, anthocyanins and ellagitannins. 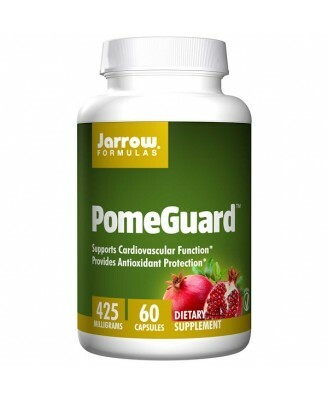 Contains only pomegranate fruit extract from 100% California pomegranates - No synthetic ellagic acid. Suitable for Vegetarians/Vegans. 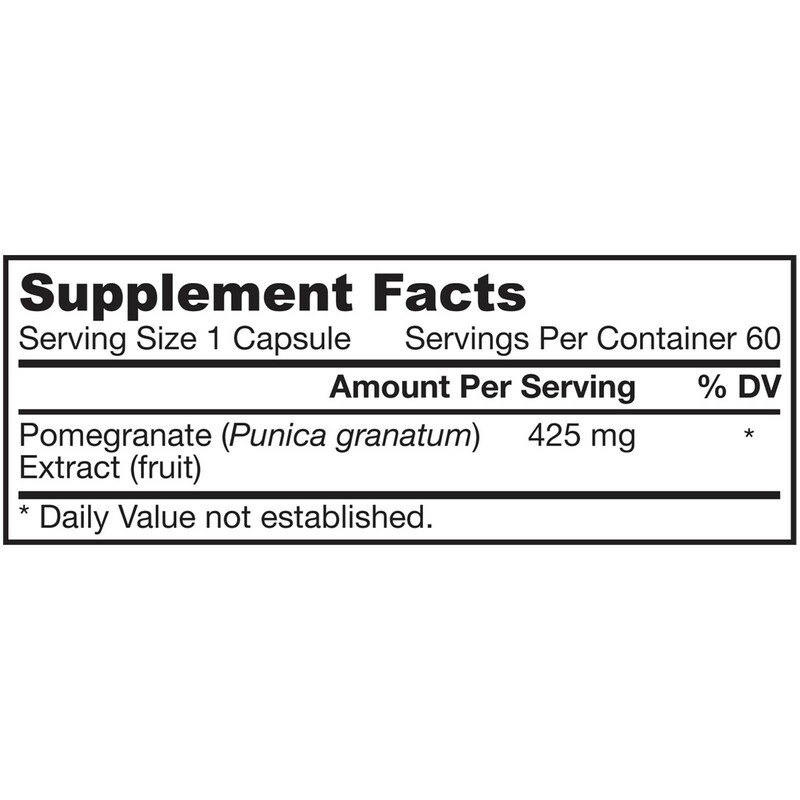 Take 1 capsule 1 or 2 times per day after meals. Note: If you have a medical condition or are taking medications, consult your health care practitioner before using this product. Keep out of the reach of children.